The Pennovation Works is a distinctive blend of offices, labs, and production space developed by The University of Pennsylvania to link the intellectual and entrepreneurial initiatives necessary for advancing knowledge and generating economic development. The master plan articulates a phased approach, with initial activity focused on site improvements and renovating existing buildings, beginning with the 2016 completion of the Pennovation Center. 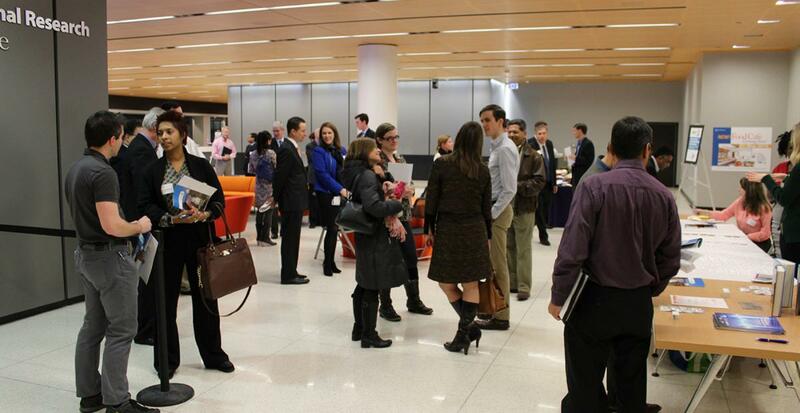 Events hosted by the Pennovation Center draw multidisciplinary attendance. The 23-acre property adjacent to Penn's campus accommodates, in state-of-the-art facilities, researchers, entrepreneurs, and industry partners solving real world problems and translating inventiveness into viable ventures. By grouping facilities for innovation, technological development, and artistic production/exhibition, Penn envisions a multifaceted workshop for harnessing and commercializing the tremendous creative potential in the region. This property is strategically situated in a valued location within the Lower Schuylkill Innovation District, and is envisioned to become a keystone securing University City, Center City, and the emerging Innovation District as three engines of Philadelphia's economy. Businesses that are located at Pennovation Works are eligible to receive significant state and local tax benefits including abatement of Business Privilege Tax, Net Profit Tax and Real Estate Tax. Aerial Applications is a software company that takes images from drones and turns them into maps and 3D models to make them more useful. Allevi, Inc., believes that 3D tissues will have a huge impact on both pharmaceutical and clinical development worlds. Amriton LLC is developing low cost, regenerable and reusable water filters for water and pharmaceutical industries, with emphasis on water reuse application. Aro Biotherapeutics is focused on the development of a proprietary protein scaffold engineered to allow extremely precise, tissue-specific drug delivery. ARG is a small company designing embedded systems, with a focus on developing products that could be used for remote monitoring in cities of the future. Avisi Technologies is a pre-clinical medical devices startup focused on advancing the development of VisiPlate, a nanoscale defense against blindness from glaucoma. Axonova Medical is pursuing a disruptive technology that can effectively recreate lost or damaged neural circuitry following neurological injury or disease. Learn which exciting new companies are at the Pennovation Center. Our list of members is updated regularly. Over 800,000 volumes, some more than 100 years old, are located at the Pennovation Works site, stored in a state-of-the-art, humidity- and climate-controlled environment. Ghost Robotics develops unstoppable, agile, and highly responsive autonomous 4-leg robots with superior operability. The Hershey Company is the inaugural corporate sponsor of the Pennovation Center. IAG is a clinical development partner to life sciences companies that leverages proprietary image analysis methodologies to ensure higher probability for promising therapeutics to reach patients. IQ Motion Control is a tech startup that delivers the ultimate motor module and controller for versatility and performance. Johnson & Johnson Innovation, JLABS launched JPOD @ Philadelphia in collaboration with Penn to accelerate healthcare innovation and commercialization in Philadelphia and beyond. Limelight Bio, Inc. is an emerging biotech company developing novel gene therapies to enable the treatment of debilitating inherited diseases that cannot be addressed by current technologies. Netronix offers the most comprehensive turn-key solution on the market for monitoring remote 3rd party sensors - measuring everything from water quality and weather parameters to biochemical and nuclear parameters. Novapeutics is one of 50 companies that got its commercial start from the University of Pennsylvania’s UPstart program. Their bold mission is to cure Type 2 Diabetes (T2D). Opertech Bio is a service-based business offering its customers a pioneering approach to measuring taste, a multi-billion dollar market covering the food and beverage, flavor ingredients, pet food, and pharmaceutical industries. The Penn Center for Innovation’s (PCI) mission is to empower ideas into becoming real world solutions that benefit society. In order to service the University’s needs, a Tier 1 data center was created on the first floor of the Pennovation Center. Driven by a desire to provide inexpensive medicine to people in remote areas, Dr. Henry Daniell at the Penn Dental Research Greenhouse wants to use plants in a new medicinal capacity. Graduate architecture students use this studio space to design and construct through hands-on work, focused on acquiring knowledge through making. The third floor of the Pennovation Center is occupied by PERCH, where faculty, staff and students will pursue research on robotics, embedded systems, and the “Internet of Things”. This 24-week, part-time coding program is designed to offer adult learners and working professionals in Philadelphia a pathway into the tech industry. The Penn Vet Working Dog Center, founded and directed by veterinarian Cynthia Otto, trains dogs to search and rescue, sniff out indicators of disease, and detect bioterrorism threats. PhylloZyme is a biotechnology startup and the first company to produce shelf-stable enzymes in leaves. Their novel platform technology offers a cost-effective alternative to a decades-old fermentation production system. Penn Public Safety in partnership with Drexel Public Safety operates and maintains a Backup Operations Command Center to be used in the event that facilities on campus are inoperable or inaccessible. A division of the Fortune 100 company Qualcomm Technologies, Inc., this growing team of researchers and engineers work on research, development, and commercialization of leading-edge technology for aerial vehicles and robotic systems. Red & Blue Ventures is a privately owned and operated, seed and early stage venture capital fund that invests in companies from the University of Pennsylvania ecosystem. Researchers in M. Ani Hsieh’s lab (Penn Engineering) are working to enable robots to perform useful tasks across the ocean. Tern Water is a water treatment service company that provides the public with the data and tools needed to tap into the water industry and improve the standard for home water. TriFreshca is an urban farm relying on technology and creative hydroponic farming techniques to grow food sustainably for the local market. ZSX Medical, LLC is a clinical-stage bio materials company improving the processes and recovery time for minimally invasive surgery. Leasing options at the Pennovation Center include offices, labs, and Startup Garages. Also, coworking memberships are available at several levels. Learn more about Membership at the Pennovation Center or schedule a Tour. Several existing Pennovation Works buildings, including the Office Building and the Lab Building, have been identified as having potential for re-use. The Property is a multi-tenant office building situated on approximately 3.25 acres of land. A 3-story building, it consists of 24,000 rentable square feet. Originally built in 1937 and renovated by Penn in 2016-17, the Office Building includes a new elevator core, restrooms, and code-related improvements. The building is constructed with concrete slab-on grade, steel framing and concrete floors, new membrane roof, unpainted masonry brick exterior and concrete stem walls. Common area interior finishes consist of painted gypsum board walls, acoustical ceiling tiles and ceramic tile and carpet floors. The Office Building is part of the Pennovation Works site, as is the Pennovation Center. The site offers a common secured access gate and parking. The Office Building is currently partially leased to various start-up companies and Penn-related occupants. The Lab Building is an existing building at Pennovation Works that has been identified for re-use in the future because its configuration and layout support the identified new programs and uses for the Pennovation Works site. The 69,000 square foot masonry building currently holds laboratory, office, and conference spaces. In the future, the wider north wing is proposed to house laboratory functions, while the narrower west wing will house office uses. The first floor is partially below grade. A public lobby and conference space will be located in the above-grade north end of the space, while storage and support spaces will fill the portions of the floor that are below grade. Current laboratory spaces in the building are served by exterior ductwork, necessitated by relatively low floor-to-floor heights which limit interior ductwork. As new work spaces are introduced in the building, it is likely that additional exterior ductwork will be needed. We are pleased to offer tours of the site and available spaces by appointment. To visit Pennovation Works, please contact Esaul Sanchez, Asset Manager, at sancheze@upenn.edu or 215.746.7752, or Ed Datz, Executive Director -- Real Estate, at datz@upenn.edu.